Species: Lejeunea minutiloba A. Evans var. heterogyna R.M. Schust. Species Lejeunea minutiloba A. Evans var. heterogyna R.M. Schust. Citation LEJEUNEA MINUTILOBA var. HETEROGYNA R.M. Schust., J. Elisha Mithcell Sci. Soc. 73:425. 1957. 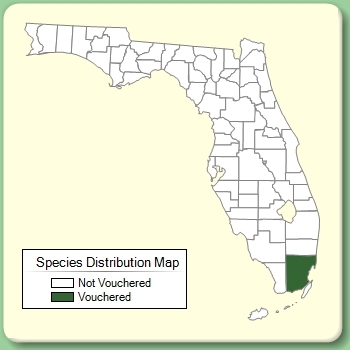 Type: FLORIDA: Miami-Dade Co.: 5-6 mi. W of Florida City, hammock on Loveland Road, 1951, Schuster 22702.